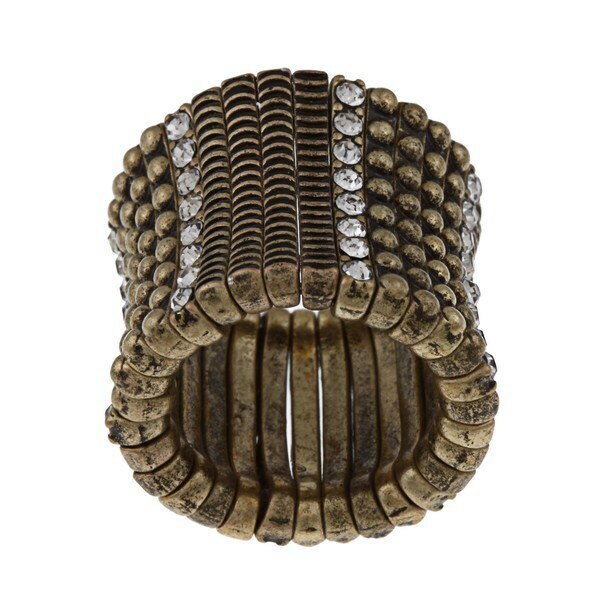 This stretch ring mixes lustrous high polish and satin finishes with alternating rows of antiqued goldtone vertical bands. This stylish ring features textures and beaded styles as well sparkling clear crystals. I never received so I don't know how it looks, feel, all I did was purchase a ring but never received it.